In recognition of breakthrough initiatives, extraordinary innovations, and significant contributions to the University’s long-term success. Ian Lightcap is a senior scientist and manager of the Materials Characterization Facility (MCF) at ND Energy. In 2010 the University funded the Sustainable Energy Initiative (now ND Energy), and this funding included a substantial investment ($2.5 million) in equipment and renovations to create the Core MCF. The facility was created in 2011 and a variety of equipment was purchased and installed. During the initial two years of operation, considerable user dissatisfaction developed, and, despite the efforts of the leadership team, the MCF continued to flounder with a small and overall dissatisfied user base. Simply stated, the MCF was nowhere near achieving a sufficient user base to provide for sustainability and further growth. The University investment was therefore at significant risk. It was during this very vulnerable time that Ian became the manager of the MCF in 2013. He developed a management strategy that put the MCF on a pathway to sustainability. This was done by Ian investing a great deal of effort in developing the user base. He visited many research groups to describe the capabilities of the MCF, he created a user-friendly environment in the facility, he maintained the equipment in top-notch condition, he created and conducted training programs for students, and he worked to secure additional equipment. Since Ian took over the management of the MCF, two major pieces of equipment were added. The equipment along with the fact that faculty seek to place major equipment in the facility under Ian’s management attests to their trust and respect of his management abilities. Over the course of the last several years the MCF has continued to thrive under the leadership of Ian. The list of equipment within the facility continues to grow, and the user base expands. This is critical, as this has not only increased the capacity for high quality research at Notre Dame but it also has created a cost recovery center through user fees. Ian’s work is commensurate with the values of the University in all respects. He is an honest and responsible person. His dedication to the equipment at Notre Dame speaks for itself in terms of accuracy and reproducibility of the data we collect on the instruments. In recognition of employees whose performance reflects the University’s core values of integrity, accountability, teamwork, leadership in mission, and leadership in excellence. Craig Marsh, guest services associate III at the Morris Inn, goes above and beyond in order to make guests feel welcome. He is quick to learn guest names and recognize each individual so he can address them by name as he welcomes them to the Morris Inn. He is well respected by his colleagues and is instrumental in training new staff. Craig interacts professionally with all departments at the Inn and is quick to offer help when needed. Craig was originally hired as a guest service associate, and has been promoted twice to the guest service associate level III. He is recognized the most in guest comments, as well as on TripAdvisor as the guests frequently refer to him by name to thank him for his extraordinary service. One example of Craig’s amazing customer service occurred when a guest arrived at 8 a.m. — without a reservation — after an all-night drive. The guest’s daughter is a student; she was having some difficulties and needed her father to be here. Craig immediately alerted housekeeping, asked for a priority on a room, and the guest was in a room within 30 minutes after his arrival. Upon learning the guest was also having car troubles, Craig told the gentlemen to take care of his daughter, and that he would call the local car dealership. When the guest returned, Craig had all the car information and inquired about his daughter. The guest was so amazed by this experience he asked for a manager to express his appreciation for Craig’s service. The gentleman was so touched by the care, concern and extra assistance he had tears in his eyes while sharing the story with the manager. Another example of Craig’s excellent service is when a young man arrived at the Morris Inn for a scholarship interview and shared that his luggage was lost by the airlines. The young man was visibly upset about going to the interview in his jeans and T-shirt. Craig took him to the uniform room, had him try on his own professional uniform suit, which fit him perfectly. Further, the extra pair of shoes Craig keeps in his locker also were the right size. The young man left for his interview looking professional and proud! Craig embodies the University values in all aspects of his life. He volunteers in the classroom with the South Bend Community Schools Corporation and serves as a member of the Busara Black Male Summit. He demonstrates teamwork and is committed to creating an environment where people want to do their best. 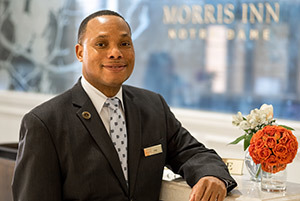 At the front desk of the Morris Inn, Craig serves as an ambassador for the University. The University’s mission includes a commitment to service and community, which Jim Paladino embodies in many ways. Jim diligently works to create a sense of human solidarity and concern for the common good that bears fruit as learning becomes service to justice. Jim is a humble man who truly has a servant’s heart. He models doing the right thing in his personal and professional life, and loves and serves God and his fellow man in more ways that can be set forth here. As the center’s associate director for program and resource administration, Jim serves Notre Dame students who go out into the world to work on behalf of underserved populations. He has also worked on behalf of the University on issues of fair trade, sustainability and stewardship of resources, modeling what it really means to care for God’s creations, to preserve the dignity and rights of workers and to live in solidarity with the poor and vulnerable. Jim has humbly overseen the business and financial matters of the Center for Social Concerns for over half of its existence. In this period the endowments for the center have more than doubled and he manages over 200 different accounts. Because of his leadership on campus, he was recognized with the Rev. William A. Toohey, C.S.C., Award for Social Justice in 2007. Jim has been a leader in diverse areas including worker’s rights, immigration reform and disability rights, including speaking in classes across campus on these topics. On football weekends he assists at the transportation office in hosting special guests on campus because of his gracious hospitality and love for Notre Dame. 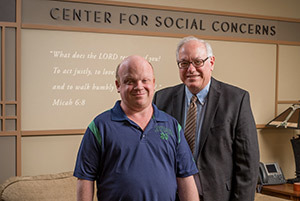 As the father of six adopted children, three of whom have special needs, Jim personifies the Catholic Social Tradition call to family and community which are interdependent, in which there is no community more central than family. Jim reveals that human dignity and potential are nurtured in families and realized in community. Jim is a role model who exemplifies the University’s Core Values such as Leadership in Mission, Integrity and Teamwork. Jim was instrumental in the University’s establishment of a relationship with Alta Gracia, a groundbreaking clothing line produced in the first-ever apparel factory in the developing world to pay a living wage and demonstrate full respect for worker’s rights. He also spent several years teaching the Center for Social Concerns’ course Border Issues, which is focused on immigration and participation in humanitarian service efforts for migrants. Jim models selfless behavior at the center daily. During the winter he can be seen shoveling and salting the walkway early in the morning in subzero temperatures. Jim is the first person to welcome new center staff with flowers he picks up himself, and those flowers are normally accompanied by a stack of love notes from his son, Chris. Both Jim and Chris Paladino exemplify what it means to be the Notre Dame family. They embody the very definition of “agape love” defined as “the highest form of love, especially brotherly love, charity; the love of God for man and of man for God.” The University community is indeed blessed by him and the way he models its values for us all. 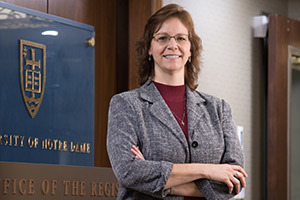 Liz Rosencrantz is one of the most hardworking, dedicated people at Notre Dame. Our students, faculty and staff will never completely know how much she does for the University. Liz joined the Office of the Registrar in 1984 as a clerk, and today is the senior assistant registrar for the office. She has dedicated herself to the University and the important work done by the Office of the Registrar for the faculty, staff and students. She will drive through a blizzard in order to serve the community. Liz does this not out of expectation but because she loves our Notre Dame family. She is the last person to ever seek personal attention and the first person to volunteer to help anyone at Notre Dame. Liz exemplifies the University’s values outside of work as well. She has traveled to Africa four times – with another trip planned this summer – conducting AIDS education seminars. During each visit, Liz has spent three weeks in Africa with Malawi Matters, a South Bend-based initiative to provide HIV/AIDS education in the country that has some 650,000 AIDS orphans. Malawi Matters grew out of connections at First Presbyterian Church in South Bend, the largest concentration of Malawians in the denomination and part of a community of more than 1,500 in the area. Through Malawi Matters, Liz promotes a self-sustaining "train the trainer” education program that empowers Malawians to independently teach others about HIV and AIDS. On the most recent trip, Liz and the others from the all-volunteer agency trained approximately 672 key leaders from 56 churches in six of the denomination’s presbyteries. The key leaders are then equipped with training and supplies to educate thousands more of their members. Being a benevolent servant leader is a core component of Liz’s identity. Through her professional and personal actions, Liz has brought more people to Christ than mere words can describe. Liz’s truthfulness and empathetic touch has pervaded the entire registrar staff. Her kindness is something many people personally aspire to as both a leader within the University and as a compassionate friend. Katherine has an insatiable desire to serve Notre Dame’s mission and to lead those around her, both those reporting directly to her and the many others who she has the privilege with which to work. Katherine’s accomplishments are virtually endless, and include all three components of the Presidential Leadership Award. She has led opportunities for improvement and increased productivity via sponsorship of green belt projects, daily she exhibits creativity in solving problems large and small, and is consistently introducing innovation to bring long-term impact to Notre Dame in both the special events and stewardship environments. Katherine is the consummate servant leader, working tirelessly on behalf of Notre Dame. 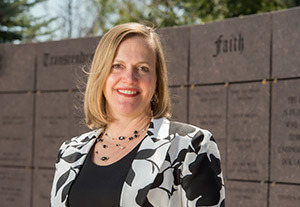 The events and stewardship experiences delivered by her team often involve the University’s highest leaders and its most important experiences (e.g., Commencement, Weekends with the President, Board of Trustees meetings, etc.). Katherine’s unwavering dedication to Our Lady’s mission and those who selflessly serve it, is truly unparalleled. She inspires those around her to stretch a bit further than they may have before, implement enhancements they never thought possible, and create experiences that will forever have a lasting impact on all those participating. Katherine also led a process to revise the design, content and impact of the endowment reports. This process resulted in benchmarking of the U.S. News and World Report Top 20 private institutions, input from internal constituents (e.g., John Affleck-Graves, John Sejdinaj, Chris Maziar, Lou Nanni and Micki Kidder) and admired external leaders (e.g., Jay Flaherty, John Glynn, etc.). The annual endowment reports are now greatly enhanced, and all individuals participating in the project remarked how extraordinary Katherine’s leadership was to the project. Katherine embodies the Notre Dame mission and core values in all that she does. She has a graceful ability to encourage others around her to embrace their commitment to excellence, but does so in a manner that holds them highly accountable. Katherine is a person of great integrity and deep personal commitment to the mission of Our Lady. Katherine’s demonstration of teamwork is the value that most consistently and strongly emerges from her leadership. She surrounds herself with tremendous talent, and pushes her team to higher levels of success than they consider possible. Katherine outlines a bold vision, is deeply committed to excellence, and nurtures and addresses opportunities for improvement as they emerge. While she is not afraid to address difficult conversations, Katherine does so in a clear, direct, and compassionate manner. She is humble yet confident, self-aware, dedicated to those around her, and most importantly dedicated to Our Lady. Drew has served the University faithfully for 20 years. 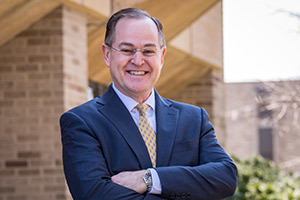 He is in a role that requires accountability, integrity and leadership in order to protect the financial reputation of Our Lady’s University and he executes this role at the highest level. In his 20 years at Notre Dame, he has hired, mentored and developed one of, if not “the” most talented accounting teams in higher education. He has served and received accolades from NACUBO, the FASB and the NCAA. He is considered to be an expert in higher education accounting and is thought of highly by his peers across the country. With Drew, senior leadership can rest easy every night knowing the University’s books are balanced, all accounting is being done with the utmost integrity and a skilled individual is watching over Notre Dame’s financial reputation. Drew has overseen the preparation of the University’s financial statements receiving clean audit opinions for 20 years. He has led regulatory and tax reviews from granting agencies and the Internal Revenue Service without the University receiving a significant audit comment. He has also coordinated and led the IRCC Financial Review and helped address any concerns before they become an issue. Drew’s job requires accountability and integrity and no one has more of each than Drew Paluf. In addition, his success and service to Notre Dame has been enhanced by his reaching out and teaming with other units including, the Investment Office, University Relations, Human Resources and General Counsel’s Office. These relationships are vital to ensure communications on issues before problems arise and Drew is often ahead of the game. There is no-one that better demonstrates the values of Notre Dame. 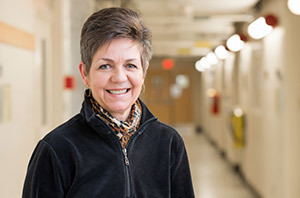 MaryFrances Prorok has built community by organizing teams in her department for specific research grants, galvanizing the support and services provided in the department office, and reaching out to other units to build bridges. Mary orients goals and achievements in line with the University mission, teaching, research, safety and service. They are also the foundation upon which she leads her professional life. Her goals and achievements all serve these pillars of the mission. Mary exhibits strong stewardship of institutional resources in a variety of ways. Mary is capable of seeing the big picture and recognizes who to tap for projects, grants and committee work within the department. She is willing to go the extra mile to be sure the department is getting the best deal when making a purchase. She sets high standards and expects exceptional performance from herself and those around her. Mary has many significant achievements, among those are safety and support. Mary understands the importance of safety. She is a chemist by training therefore knows the real implications of the hazards with which people in her department work. She is able to communicate the danger without making people feel uncomfortable, all the while seeing the restrictions and guidelines through the end users’ eyes. She wants the policies and guidance to be reasonable and prudent while assuring it provides the needed protection. Mary also has a heart for service. She is never focused on glory or recognition for herself but is tireless in her efforts to bring the attention to the researchers, and the great teachers in her department. She reduces their administrative burden, she shepherds them through administrative processes and procedures and instills in the staff who report to her this same heart for service. When Mary first started in her position, it was a difficult time in the chemistry and biochemistry department. The ensuing change of personnel and position descriptions was certainly a tumultuous time for the staff. This also coincided with relocation of all office staff to occupy a single suite. Over the next few years Mary completely reorganized her team to be highly responsive and engendered a “can-do” attitude. The staff has been cross-trained to fill each other’s roles, and the resulting level of cooperation and collegiality is truly excellent. The staff members have evolved into their new more-defined roles and provide an outstanding level of service to the multiple constituencies they serve including undergraduates, graduate students, postdoctoral researchers and faculty. Mary led the way for all this positive change through her outstanding and selfless leadership. Michael Sweikar joined the University in 2011 as the first hire for the Notre Dame Initiative for Global Development (NDIGD). The NDIGD was created as one of the University’s Strategic Research Initiatives. The University created it in order to build important new programs in the interdisciplinary area of global development. The University has many assets related to global development but stitching these entities together creates a whole area that is greater than the sum of the parts. NDIGD provides staff the infrastructure needed to support faculty and students working on major global development projects. NDIGD is specifically designed to monitor and evaluate the outcome of projects, provide project management support and to develop training programs in support of complex global development programs. This helps the University be a greater force for good in developing countries worldwide. Michael was the first staff member hired to the NDIGD and has subsequently hired each of the staff brought on board since then. He has a great eye for talent and has brought outstanding people to the University. As each of these individuals has joined us, Michael has made certain they understand the servant culture of NDIGD and the values of the University. Many compliments are received about the NDIGD staff and their professionalism, skill and helpfulness; this is an indication of Michael’s leadership. Michael is an exemplary leader that lives the values of Notre Dame: Integrity, Accountability, Teamwork, Leadership in Mission and Leadership in Excellence. Michael has been an excellent supervisor and through his supervisory responsibilities has shown many instances of high integrity. Michael is willing to make the hard decision if it is the right thing to do. Michael is a pioneer in helping the University to implement programs to conform to the Foreign Corrupt Practices Act (FCPA). These laws require an entity such as Notre Dame cannot provide bribes, and also that Notre Dame is responsible to ensure its contractors do not provide bribes. The NDIGD staff travel to and work with partners in many parts of the world where corruption is commonplace and the staff must understand how to deal with these challenges. Michael has done extensive work to gather information and develop training materials for the staff. These materials are now being used by other organizations at the University. Michael is exemplary at taking responsibility when NDIGD performance is not up to standard, and fixing the issues. NDIGD benefits significantly from an open and honest culture that Michael has established from the onset of NDIGD. 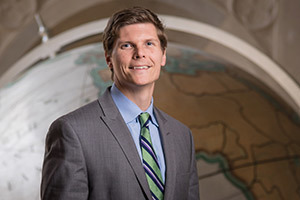 His skills as a great teammate are evident in his interactions with faculty and student researchers as well as his contributions to the launch of the new Keough School of Global Affairs. The NDIGD is central to the research component of the mission of the University. Michael has built a program that not only supports the mission of the University but also adds a distinctive component differentiating Notre Dame from other universities. His contributions are significant and extend far across the academic programs of Notre Dame. Originally published by Office of Internal Communications at news.nd.edu on May 17, 2016.